CUI’s Thermal Management Group today announced the introduction of its CFM-V line of dc axial fans that boasts superior performance and reliability compared to conventional sleeve bearing fans, thanks to its innovative omniCOOL™ system. This advanced bearing design bridges the cost-performance gap between traditional sleeve and ball bearing fan technologies. Incorporating a magnetic structure that enables rotor-balancing to minimize tilt, wobble, and friction, the omniCOOL system allows for fan operation at any angle. It also reduces the need for lubricant, further decreasing fan noise and friction. In addition, the bearing system extends operational life by utilizing a specially hardened material that provides additional heat resistance and offers protection against any abrasion that may occur. 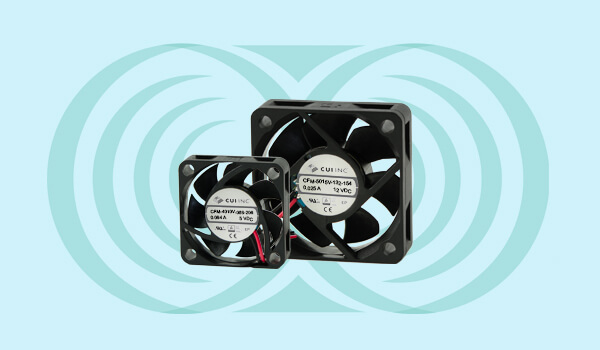 The CFM-V series is available immediately with prices starting at $3.40 per unit at 100 pieces through distribution. Please contact CUI for OEM pricing.